Founded in 1903, The London Chorus been practising and performing a challenging and varied repertoire and continually developing its tradition of excellence for over a century. 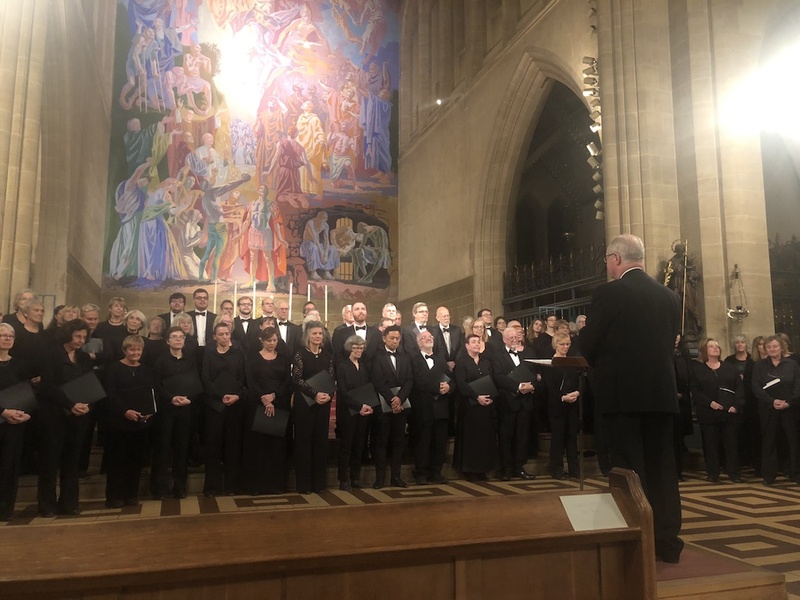 Formerly known as the London Choral Society, the 120 members of the choir are amateur singers from all walks for life, but performances are at the highest professional level under the baton of composer and conductor Ronald Corp OBE. Singing with The London Chorus provides an unparalleled opportunity for amateurs to work with the most prestigious orchestras, conductors and soloists in the world. We regularly perform at The Royal Albert Hall, Cadogan Hall, Royal Festival Hall and St John’s Smith Square, and have made appearances at Twickenham, Lord’s Cricket Ground and on BBC Songs of Praise and the X-Factor! We have recently undertaken tours to Italy, Estonia and South Africa. Our most recent trip was to Poland, where we performed Handel, Mozart and Szymanowski with the Fundacja Nowa Orkiestra Kameralna and choir in Warsaw. We perform a huge variety of choral music, from the established choral repertoire to recently commissioned pieces, alongside some of London's best orchestras and soloists. It's easy to see why we are known as London's most versatile choir!